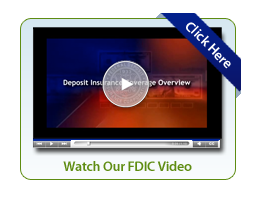 Find TIPS and Answers to some of the most frequently asked questions we receive at the bank! Click on a topic below to learn more! 1. Download TouchBanking in the App Store or Google Play on your smartphone. Congratulations, you are now able to enjoy the convenience of Mobile Banking. *If you are not enrolled in Online Banking, seclect Enroll Now and contact a Personal Banker for your PIN. Your username and password are the same as your Online Banking credentials. image of the front and back of the check.Transaction limits apply. 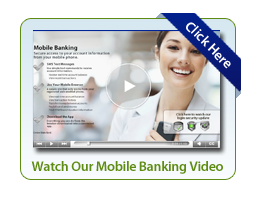 Union State Banks Mobile banking is secure and convenient. Here are eight tips you can use to help ensure your information remains secure when using our mobile banking app. Fraudsters often contact people via email or text message claiming to be from a certain financial institution and asking them for their mobile account passwords. They may request you send your password as a reply, or they may provide a link to a website where you are supposed to confirm a password.This is a scam. A reputable financial institution will not send you an email asking for your mobile account password. Never reply to anyone with this information. Don’t hand over your username or PIN, either. Many people use public Wi-Fi connections for their smartphones to reduce the data they consume. It may be tempting to check your mobile banking account when using these connections, but resist that urge. Entering sensitive information such as your username, password, and PIN via public Wi-Fi opens you up to a possible hack. You can use a browser to log into your account, but you’re better off downloading our Union State Bank app and logging in with it. Using an app offers even greater security than a browser. If your mobile app offers it, using a feature such as fingerprint ID can enhance security even more. Run updates on your mobile banking app when they become available. Many updates relate to security, and you want to have the most up-to-date app settings possible to keep your banking information safe. Whether you’re using the app or a browser, you should always log out of your mobile banking session when you’re done. Log out and close the mobile browser or exit the app after every use to keep your information protected. This way, if you log onto public Wi-Fi or lose your phone, you won’t leave your account vulnerable. When it comes to mobile banking, your phone’s safety correlates directly to your financial information’s safety. If you don’t have a foolproof system to keep others off your phone, you may have a difficult time keeping your financial information safe. On many smartphones, fingerprint ID or facial recognition is an option. Use it if you have it — you’ll have an added layer of security if your phone gets stolen or lost. When you upgrade your phone, make sure you have wiped all your personal information from the phone. It is important to remove your banking app, too, so no one knows what financial institution you use if they end up with your old phone. Just as you contact Union State Bank if you misplace your debit card, let us know if your phone goes missing and follow our instructions on how to disable mobile banking. This precautionary measure can protect your financial information. USB account with you anywhere. back of the check. Transactions limits apply. institution and access Pop Money. Receive e-mail notifications about your accounts. Balance, Daily Balance & Checks Cleared. income. 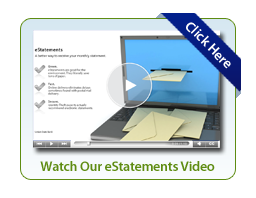 Plus export your statements to excel. review recent transactions and transfer between accounts. Additional options include ACH Services and Merchant Capture. Union State Bank Online Banking is a fast and convenient way to check your balance, transfer funds or pay bills. Internet banking makes all banking functions accessible through a few clicks. Due to the risk of phishing (fraudulent means of attaining your confidential banking information) we are providing the following security tips. The first time you login to your internet banking account, you will need to use the password provided by the bank. However, you need to change this password in order to keep your account safe. In addition, keep changing your password at regular intervals, we recommend at minimum every 90 days. More importantly, keep the password confidential at all times. Avoid logging in to your bank account at common computers in cyber cafes or libraries. These are crowded places, and there are more chances of your password being traced or seen by others. If you have to login from such places, make sure you logout of your access, clear the cache and browsing history, and delete all the temporary files from the computer. Also, never allow the browser to remember your ID and password. USB will never ask for your confidential information via phone or email. So whether you get an apparent phone call from the bank or an email requesting your details, do not give out your login information. Use your login ID and password only on the official login page of the bank, which should be a secure website. Look for 'https://' in the URL when logging in; it means that the website is secure. You should always log out of your mobile session when you’re done. 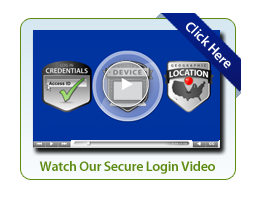 Log out and close your session after every use to keep your information protected. Most broadband users do not disconnect the internet connection on their computer when they are not using it. Malicious hackers can access your computer via an internet connection and steal your confidential banking information. To keep your data protected, ensure that you disconnect from the internet when not in use. It is safer to type our web address in the address bar of the browser than clicking on links given in an email. There is a chance of fraudsters sending emails with fraudulent websites links that are designed exactly like the bank’s original website. Once you enter your login details on such a website, they may be used to access your account and steal your money. While logging on, check for 'https://' in the URL and ensure that it is your bank’s authentic website. Information Security Tip - Legitimate businesses will not request personal or detailed information from you through email. Beware of any email you receive requesting payments, money transfers, your PIN, password, or similar access information for credit cards, banks, or other financial accounts. Be sure to Verify the source of the email before taking any action and Never click on a link from an unidentified source. Beginning October 2017, Visa’s VAU service will update the consumer’s Visa debit card information with participating merchants to process recurring cardholder payments. The VAU service is designed to prevent debit card transactions from declines due to outdated information at the merchant level. VAU will help prevent automatic payments from being declined due to a change in the card expiration date, a lost or stolen card, or a new debit card number. If you want VAU, no action is required; enrollment is automatic by Visa. If you want to exclude your debit card from VAU or have any questions regarding this service, please call USB at 515-462-2161. THE MOBILE APP THAT ALERTS YOU OF POTENTIAL FRAUD! Your debit card activity will now be monitored and you will receive alerts for transactions that meet the criteria you selected. We provide Text Fraud Alerts as part of our debit card protection program. You’ll receive text alerts when suspicious activity is detected on your Union State Bank debit card. If you receive a “fraud alert,” reply Yes or No to confirm or deny the activity. If you reply No (the activity is fraudulent), you’ll quickly receive a follow up text to let you know that a SHAZAM fraud specialist will call you soon to help protect your account. We’ll also automatically block your debit card to prevent any additional fraudulent activity. Make sure to save or update these numbers to your contacts so you don’t miss any alerts. This added protection to your debit card is automatic and text message alerts are free. To ensure we can reach you promptly if fraudulent activity is suspected, we’ll need to have your current contact information on file including phone number(s) and address. Please contact us if you have any changes in this information or to verify the current information on file. We’ll keep your information completely confidential. If you have any questions, or ever see a suspicious transaction on your debit card, please call Union State Bank at 515-493-9946. Always use caution when providing your debit card information and contact us immediately if you suspect your debit card has been stolen or compromised. Q. How much is ID TheftSmartTM? ID TheftSmart is $5.45 per statement cycle per account for single enrollment. There is $4.45 fee per statement cycle per account for each additional program enrollment. Q. What is ID TheftSmart™? ID TheftSmart provides comprehensive identity restoration in addition to continuous credit monitoring to safeguard your identity. Q. Does ID TheftSmart identity restoration cost extra? Q. How long does identity restoration take? Identity restoration can take anywhere from a few months to a year or more, depending on how extensive the identity fraud is and how in-depth our investigators must go to get it corrected. Your case isn’t closed until your restoration is complete to your satisfaction and we receive verification that your issue is resolved. Q. How does ID TheftSmart identity restoration work? If you suspect you’ve become a victim of identity theft, simply call the toll-free number on your ID TheftSmart membership card. Our professional licensed investigators will do most of the difficult work needed to restore your name and credit to pre-theft status as accurately, completely, and quickly as possible. You’ll be assigned a single licensed investigator for your entire case who will begin your identity theft restoration process. In order to receive the full benefit of enhanced identity theft restoration, you’ll be asked to sign and return a limited power of attorney that provides your investigator the legal rights to become your advocate and work on your behalf. Q. Does ID TheftSmart prevent identity theft? 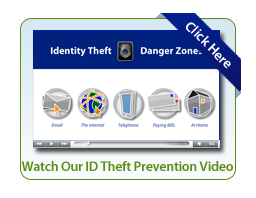 No identity theft program or service can guarantee you’ll never be a victim of identity theft. What ID TheftSmart can deliver is continuous credit monitoring that alerts you as soon as there is questionable credit activity in your name, such as applying for a new credit card or loan, a change of address, etc. The earlier you discover suspicious activity, the less damage the identity thief can do. 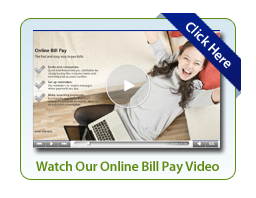 You’ll also receive an up-to-date credit report and credit score with detailed analysis at no extra charge. Q. How do identity thieves steal my personal information? Identity thieves access your personal information in a number of ways such as stealing mail, rummaging through trash, and stealing a wallet or purse—or even getting it via email or phone by posing as legitimate company claiming there’s a problem with your account. Others access personal information you share on the Internet or steal private information directly from organizational and company databases. *Carry as little cash as possible; use debit and credit cards or prepaid cards whenever possible. *Carry only necessary information with you. *Dress conservatively, wearing only a minimum of jewelry. *Don’t carry an expensive camera on a strap around your neck. *Avoid walking anywhere alone whenever possible. *Never get into an unmarked taxi. *Never leave money, cameras, computers or other valuables in a hotel room. *Notify us of your travel plans and contact method prior to your travels. *Enroll your debit card in SHAZAM BOLT$. *Always keep your card in a safe secure place. *Memorize your PIN-do not write it down. *Use your PIN whenever possible-this is the more secure method and causes fewer issues or declines. *Use ATM’s in high traffic, well lit areas or financial institutions. *Protect your PIN-hide keystrokes from onlookers. *Carry an alternate means of payment in case of fraud issues. *Be cautious when using your card at restaurants where they take your card to process the payment do not leave receipts behind. Protect your personal information such as social security number and bank account number(s). Be cautious of email (phishing), voice or phone (vishing), and text message (mishing) scams asking for personal or financial information. Collect your mail as soon as it is delivered, and examine all financial statements carefully. Remember to shred or destroy documents and paperwork containing personal information before discarding. Contact Union State Bank if a statement or expected debit card does not arrive. Enroll in online banking and e-statements to prevent mail fraud and to monitor your account on a regular basis. Be leery of the word “FREE”. Any time an internet order asks for a debit/credit card number, you could get a hidden charge, or recurring fee charged to your debit card. (This is in the fine print one may not read). Timing of “Free sample” delivery may not give you enough time to sample the product and discontinue future shipments prior to receiving a future charge. Click out of pop-ups. If it sounds too good to be true, it is. Give out your bank account information over the phone or internet. Keep in mind, if you call us, Union State Bank may ask you security questions to verify your identity. Give remote access to your home computer when contacted by an unknown source. The caller is seldom from a reputable source, their motive is to gain access to your computer and scam you; often resulting in large monetary loss. Use your debit card for recurring purchases. Banks cannot negotiate stop payments or returns on debit card transactions. Use caution and reputable merchants when using you debit card for online purchases. Union State Bank requires Verified by VISA enrollment with participating merchants to help prevent debit card fraud. Union State Bank’s mobile app gives you instant access to all of your transactions in real time, making it easy to detect fraud sooner. Debit card customers should use Shazam Bolt$ app to verify transactions. It is the quickest way to detect unauthorized transactions via your smart phone. If you answer yes to one or more of the following questions, contact a USB personal banker immediately at 515-462-2161 before you proceed with any instructions you are given. 1. Did they ask me for my personal information such as SS#, Birthdate or Bank Account information? 2. Did someone contact me with an offer for Free money, winnings, fast cash, or to pay a debt? 3. Did they claim to work for a government agency or well-known organization? 4. Did the ask me to pay the processing fees or taxes before the prize is disbursed? 5. Did they send me an overpayment and now want me to return a portion of the Funds? 6. Did they ask me to deposit money into an account at a Bank or Credit Union on their behalf? 7. Did they ask me to open a transfer account at my bank? 8. Did they give me advice on how to answer questions my Banker might ask, to avoid suspicion? 9. Did they ask for access to my computer? 10. Did they claim to be a family member with an emergency? 11. Did they ask me to keep the call and request a secret? 12. Did they threaten me with adverse action if I do not comply with their request? 13. Am I being pressured to act quickly? 14. Do I know the individual or company that I am paying? 16. Do I fully understand the agreement or contract they are asking me to verbally agree or sign? 1. Hang up the phone if it is an unsolicited call and you do not recognize the caller. 2. Don’t press number keys, as that may confirm to the source of a robocall that it has reached a valid number. This could cause you to receive more calls. 3. If a live or recorded voice asks you to “provide”, “confirm” or “verify” financial or personal information, hang up. If concerned call is valid hang up and do a call back with a number from a legit source. Do not use the number provided by caller ID or provided by the caller via phone or email. 4. Be suspicious of secretive schemes, or re­quests to initiate wire transfers or withdraw large amounts of cash no matter what the caller is promising. 5. Never sign any documents you don’t com­pletely understand without first consulting an attorney, trusted family member or close friend. 6. Be leery of paying individuals or companies up front or in cash for a future service. Especially if you have not researched their service performance or they are unknown to you. 7. Be suspicious of a prize, loan or investment that sounds too good to be true and NEVER pay a fee to receive prizes or gifts. 8. Consult with someone you trust before making a large purchase or investment and never allow yourself to be pressured or in­timidated into immediate decisions. 9. Do not allow an unsolicited caller access to your computer. 10. Add your number to the National Do Not Call Registry (1-888-382-1222 or www.donotcall.gov). Check with The Better Business Bureau of Iowa for Accredited Business and Ratings at www.bbb.org/iowa or call 1-800-222-1600. 11. Go to www.iowaattorneygeneral.gov, www.ftc.gov/consumer, www.usa.gov/consumer or www.fbi.gov/scams-and-safety for more information or to report a scam. Advance fee scams - Don't fall for claims that you have won a lottery, prize, or can invest in a great opportunity, if you have to pay a fee or taxes in advance. Chain letters - These letters promise to help you get rich quickly if you participate and forward the letter on to your friends and family. Charity scams - Scammers take advantage on your willingness to help people in need and charitable causes. They may collect your donation and keep it for themselves instead of using it to help those in need. Coupon scams - Coupons can be a helpful way to save money on your purchases. But beware of illegitimate offers. Dating scams - Scammers may create fake profiles on online dating sites and express interest in you, just so he or she can convince you to send them money. Debt relief scams - Some scammers hope that you are as eager to get rid of your debt as they are to scam you out of your money. Know the warning signs so you won't be their next victim. Free security scans - Don't be tricked by messages on your computer screen that claim that your machine is already infected with a virus. The realistic, but phony, security alerts exploit your fear of online viruses and security threats. Government grant scams - Despite ads that say you qualify for a government grant, these are often scams. Be wary of responding to offers, email, or claims that use government agency names. Health product scams - Be wary of trusting all claims. Take time to get the facts about a product first. International financial scams - A variety of scams offer entries into foreign lotteries or international investment opportunities. IRS-related scams - Be careful with email that is supposedly from the IRS. Scammers try to gain access to your financial information in order to steal your identity and assets. Job scams - Be wary if you have to pay money or supply your credit card number to a company to apply for a job. Some scammers make big promises with work at home opportunities, but these may require you to engage in illegal activities. Jury duty scams - Someone calls pretending to be a court official who threatens that a warrant has been issued for your arrest because you failed to show up for jury duty. Mass Mailing Fraud - You receive a letter promising wealth or good fortune. Military romance scams - Someone falsely claims to be a member of the U.S. military, stationed in a combat zone. This false soldier gets in an online relationship with someone on social media or a dating website, and asks for money for fake service-related expenses. Phantom debt scams - Beware of letters and calls, supposedly from "debt collectors" or "court officials". These scammers make threatening claims requiring you to pay money that you don't owe. Pyramid schemes - These investments offer big profits, but really aren't based on revenue from selling products. Instead, they depend on the recruitment of more investors. Scams that use the names of the FBI or CIA - Avoid falling victim to email schemes involving unsolicited email supposedly sent by the Federal Bureau of Investigation (FBI) and/or Central Intelligence Agency (CIA). The email appears to be sent from email addresses such as mail@fbi.gov, post@fbi.gov, admin@fbi.gov, and admin@cia.gov. Service members or veteran scams - Scammers target bogus offers of government resources or financial services to trick active duty military personnel and veterans out of their money. Smishing, vishing, and phishing - All three of these scams rely on you replying to an email, phone call or text with personal information, such as your bank account or credit card numbers. Social Security imposter scams - Someone calls you, posing as a Social Security investigator. This person claims that there is a problem with your social security account. They then tell you to call another number to resolve the problem. Subpoena scams - Scammers send bogus email, supposedly from a U.S. District Court, stating that you have to come to court. These messages are fake and may contain links that are harmful to your computer. Text message spam - Not only can text message spam be annoying and cost you money on your mobile phone bill, but the messages are often for scams. Cashier’s check or check fraud - Scammers take advantage of the trust people place in cashier's checks to steal money from your account or to avoid paying you for goods and services. It is difficult to detect fraudulent cashier's checks. When you deposit a fraudulent check into your account, the law requires your bank to make the funds available within a specific period of time even if the check has not yet cleared through the banking system. Once the check is returned unpaid, your bank, generally, can reverse the deposit to your account and collect the amount of the deposit from you. Advance Fee Schemes -An advance fee scheme occurs when the victim pays money to someone in anticipation of receiving something of greater value—such as a loan, contract, investment, or gift—and then receives little or nothing in return. Business Fraud -Business fraud consists of activities undertaken by an individual or company in a dishonest or illegal manner designed to be advantageous to the perpetrating person or establishment. Counterfeit Prescription Drugs -Counterfeit prescription drugs are illegal, fake medicines that may be hazardous to your health. Credit Card Fraud -Credit card fraud is the unauthorized use of a credit or debit card, or card number, to fraudulently obtain money or property. Fraud Against Seniors -Senior citizens should be especially aware of fraud schemes targeting their lifestyle and savings and follow a series of tips to protect themselves and their family members from fraud. Fraudulent Cosmetics and “Anti-Aging” Products -The Internet has given consumers widespread access to health and beauty products, including "anti-aging" products that they do not know are fake. Funeral and Cemetery Fraud -Regulations for prepaid funeral services vary from state to state, providing a window of opportunity for unscrupulous operators to overcharge expenses and list themselves as beneficiaries. Health Care Fraud or Health Insurance Fraud -The FBI is the primary investigative agency involved in the fight against health care fraud, with jurisdiction over both federal and private insurance programs. Identity Theft -Identity theft occurs when someone assumes your identity to perform a fraud or other criminal act. Internet Auction Fraud -Consumers are strongly cautioned against entering into Internet auction transactions with subjects exhibiting irregular behavior or making odd payment requests. Internet Fraud -Internet fraud is the use of Internet services or software with Internet access to defraud victims or to otherwise take advantage of them. Investment Fraud -Investment fraud is an offer using false or fraudulent claims to solicit investments or loans, or providing for the purchase, use, or trade of forged or counterfeit securities. Letter of Credit Fraud -Letters of credit frauds are often attempted against banks by providing false documentation to show that goods were shipped when, in fact, no goods or inferior goods were shipped. Market Manipulation (“Pump and Dump”) Fraud -This scheme—commonly referred to as a “pump and dump”—creates artificial buying pressure for a targeted security, generally a low-trading volume issuer in the over-the-counter securities market largely controlled by the fraud perpetrators. Nigerian Letter or “419” Fraud -Nigerian letter frauds combine the threat of impersonation fraud with a variation of an advance fee scheme in which a letter mailed, or e-mailed, from Nigeria offers the recipient the “opportunity” to share in a percentage of millions of dollars that the author—a self-proclaimed government official—is trying to transfer illegally out of Nigeria. Non-Delivery of Merchandise -Non-delivery of merchandise is a scheme most often linked to Internet auction fraud, but also can be considered a form of business fraud in certain cases. Ponzi Schemes -“Ponzi” schemes promise high financial returns or dividends not available through traditional investments. Instead of investing the funds of victims, however, the con artist pays “dividends” to initial investors using the funds of subsequent investors. Prime Bank Note Fraud -The purpose of these frauds is generally to encourage the victim to send money to a foreign bank, where it is eventually transferred to an off-shore account in the control of the con artist. From there, the victim’s money is used for the perpetrator’s personal expenses or is laundered in an effort to make it disappear. Pyramid Schemes -As in Ponzi schemes, the money collected from newer victims of pyramid schemes is paid to earlier victims to provide a veneer of legitimacy. In pyramid schemes, however, the victims themselves are induced to recruit further victims through the payment of recruitment commissions. Redemption / Strawman / Bond Fraud -This scheme predominately uses fraudulent financial documents—often referred to as “bills of exchange,” “promissory bonds,” “indemnity bonds,” “offset bonds,” “sight drafts,” or “comptrollers warrants”—that appear to be legitimate. Reverse Mortgage Scams -Reverse mortgage scams are engineered by unscrupulous professionals in a multitude of real estate, financial services, and related companies to steal the equity from the property of unsuspecting senior citizens or to use these seniors to unwittingly aid the fraudsters in stealing equity from a flipped property. Telemarketing Fraud -When you send money to people you do not know personally or give personal or financial information to unknown callers, you increase your chances of becoming a victim of telemarketing fraud.